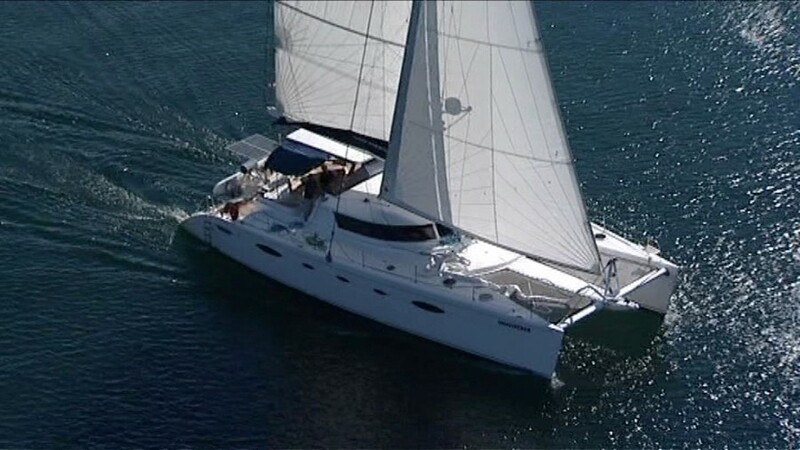 The Eleuthera 60 is the flagship of Fountaine Pajot’s sailing catamaran range in Croatia, and has been designed for the most discerning cruising sailor. 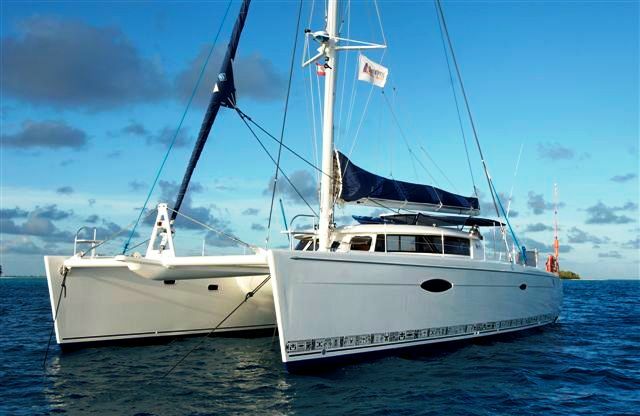 The timeless contemporary design features sleek hulls and roof. 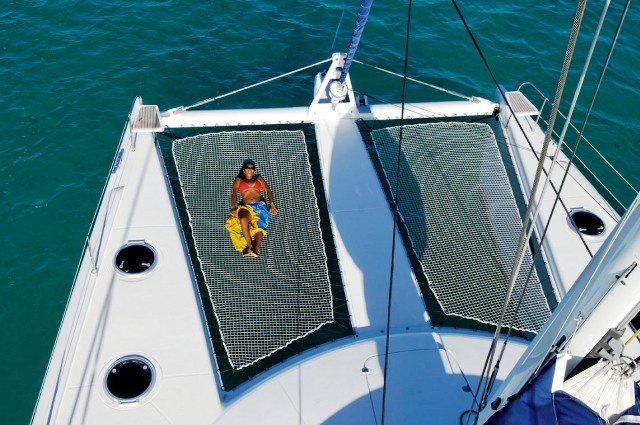 It is a catamaran that offers a level of comfort spacious accommodation and quality of finish more commonly found in custom designed yachts. 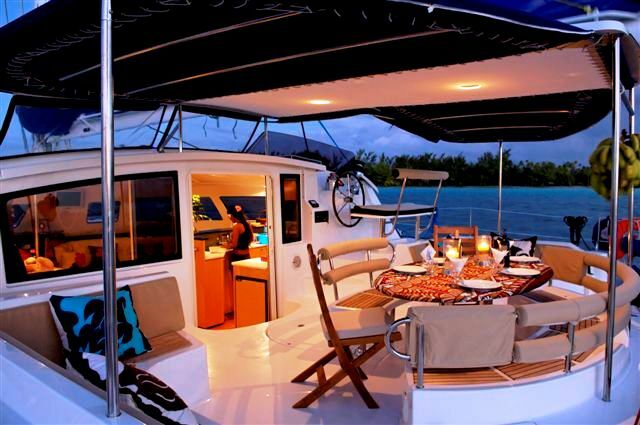 to cater for private owners’ use, large families or crew, and private charters for up to twelve people. As you board from the stern you notice that only one hull has a boarding ladder. 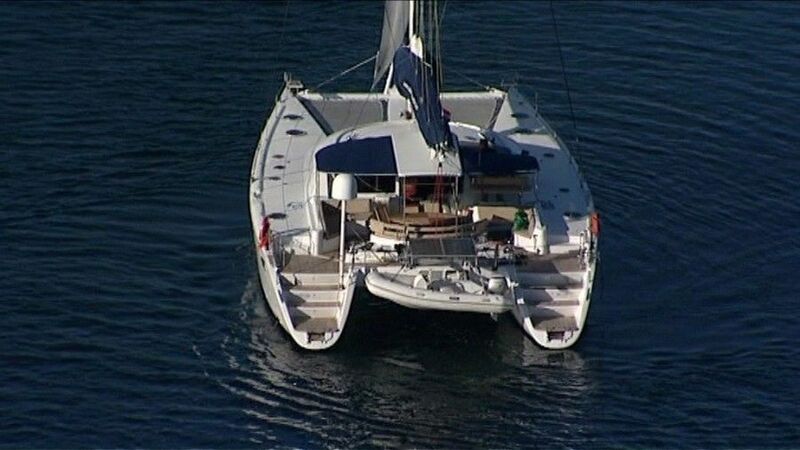 We were told this was because they want one hull where you can dock a dinghy without risking damage from any stainless steel ladder protrusions. 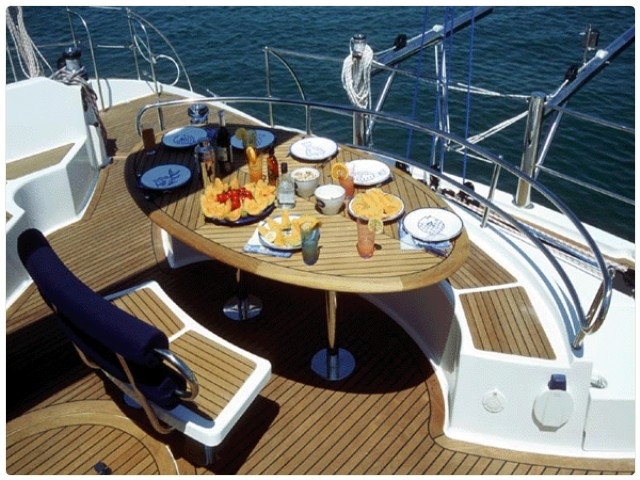 The aft deck is very large and features a beautiful table and seating arrangement with the helm in a raised position to starboard. 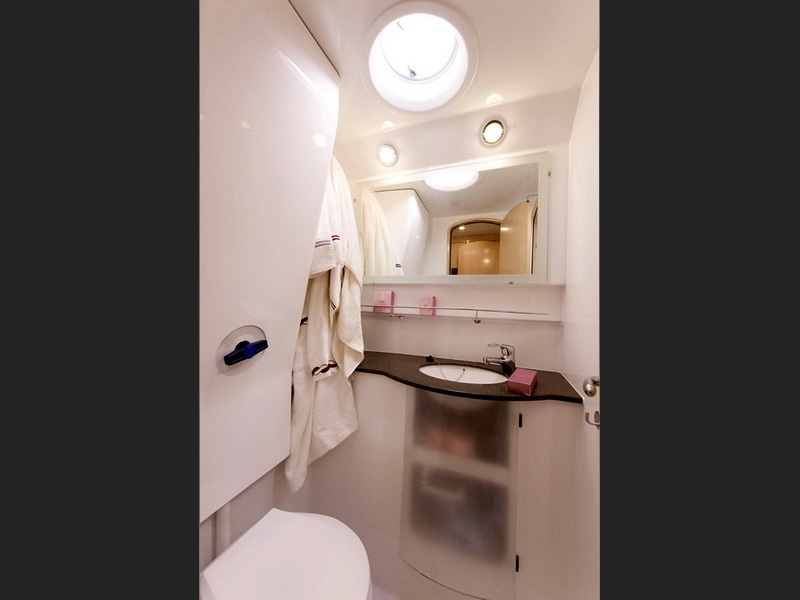 All the toys are at your fingertips from this helm seat and your visibility is over the top of the cabin. 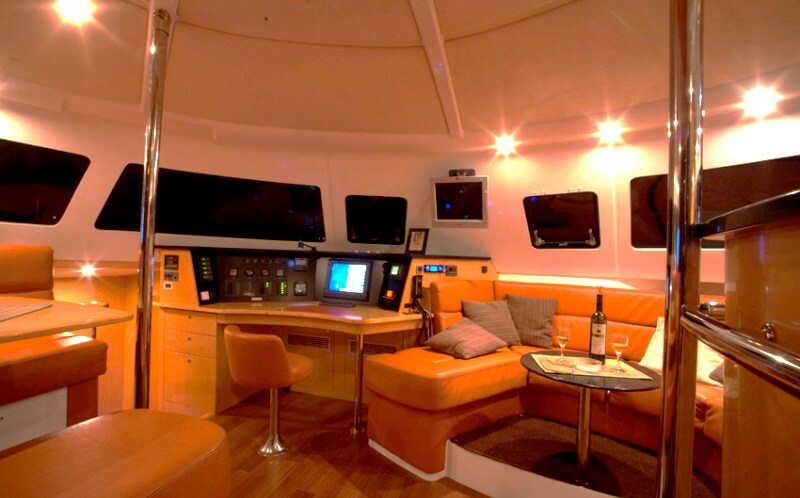 As you enter the cabin through large glass doors, there is a dining table to port. 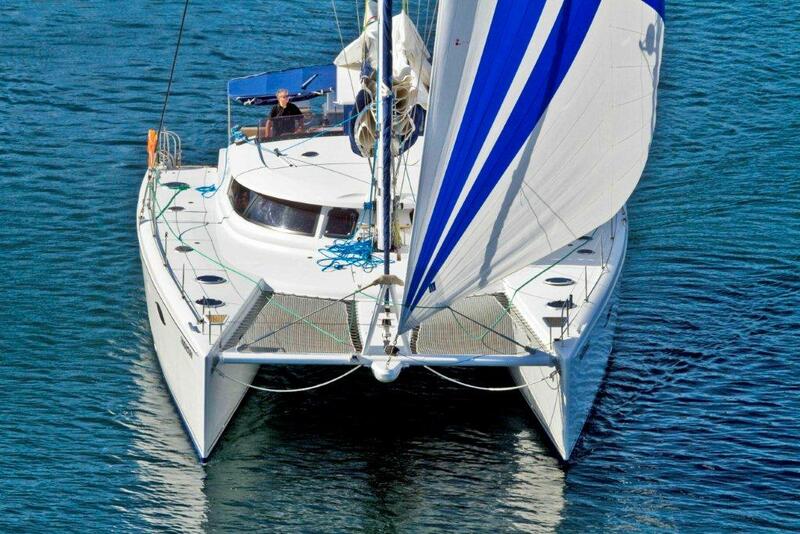 Just forward of this is access to port hull accommodation area and just forward of this is a large navigation station with ample vision to allow you to helm the boat from indoors by use of the autohelm and radar should the weather turn nasty. 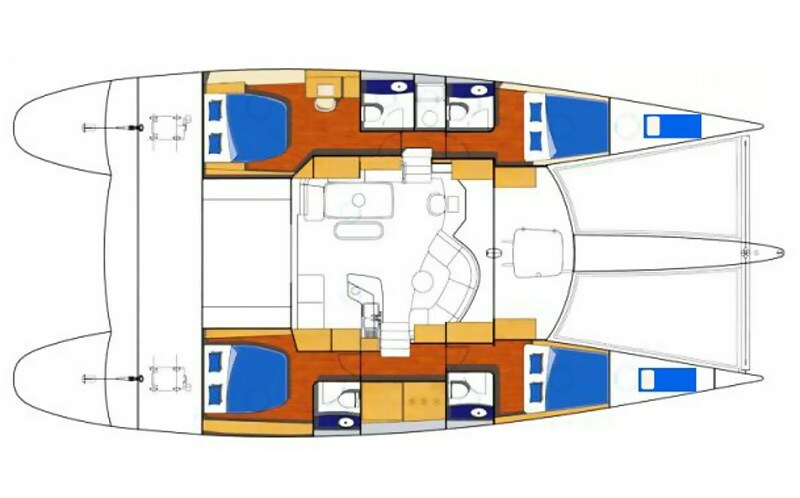 In the center of the boat under the large panoramic windows is a large lounging area before the entry down to the starboard hull. All seating is covered in a luscious ultra leather. 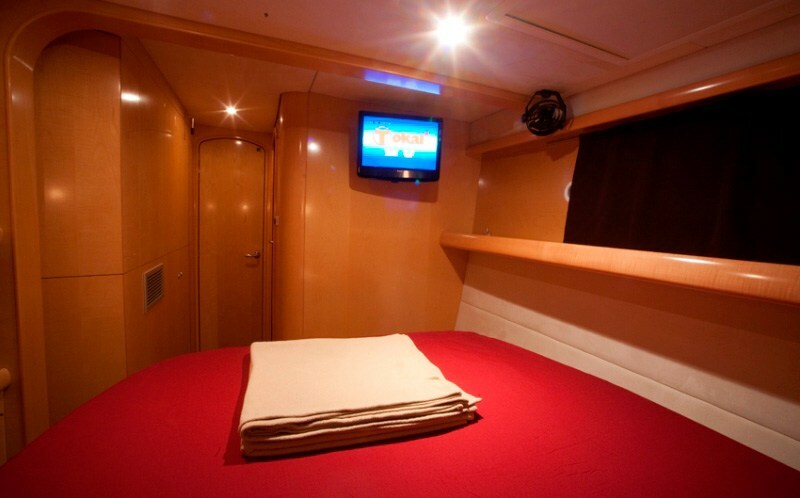 There is a large bar styled galley through the aft doors to starboard. 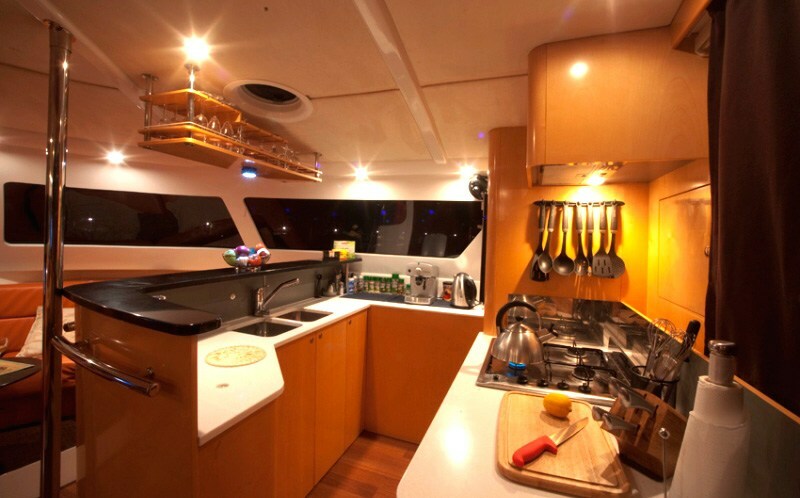 The galley is large and again has plenty of natural lighting and vision making for a pleasant cooking environment. There are double stainless steel sinks, dishwasher and stove all in easy access locations. 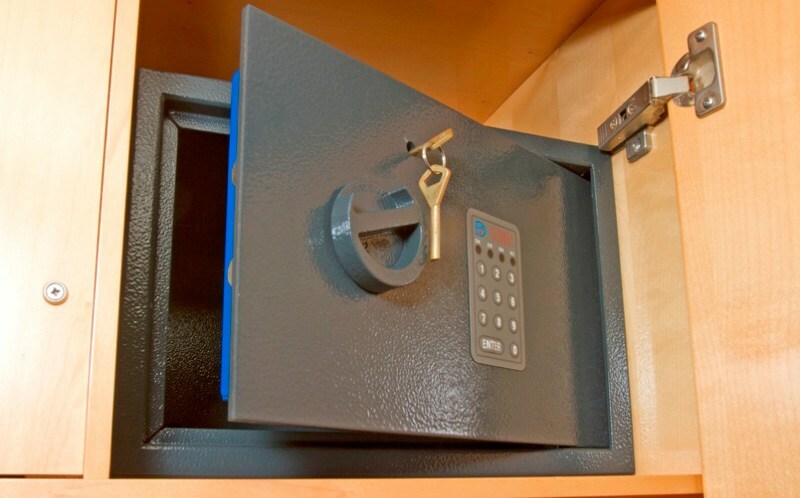 There is also a large fridge and freezer under the bench and ample storage all around. 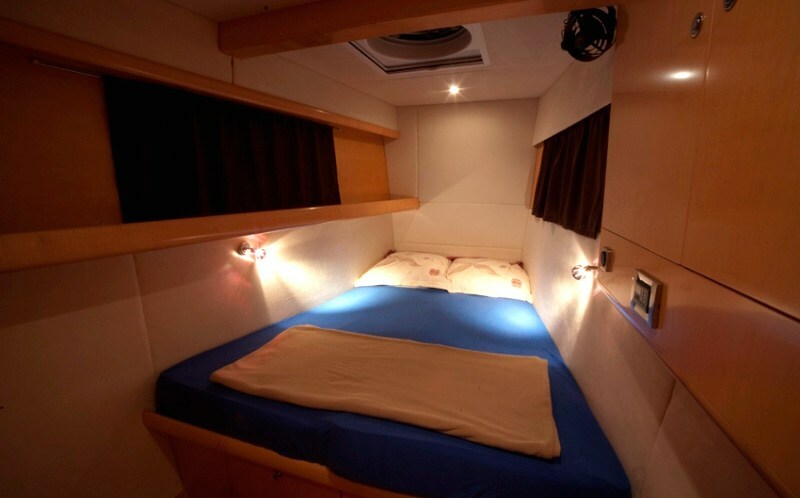 The galley is actually more like a kitchen found in your house. 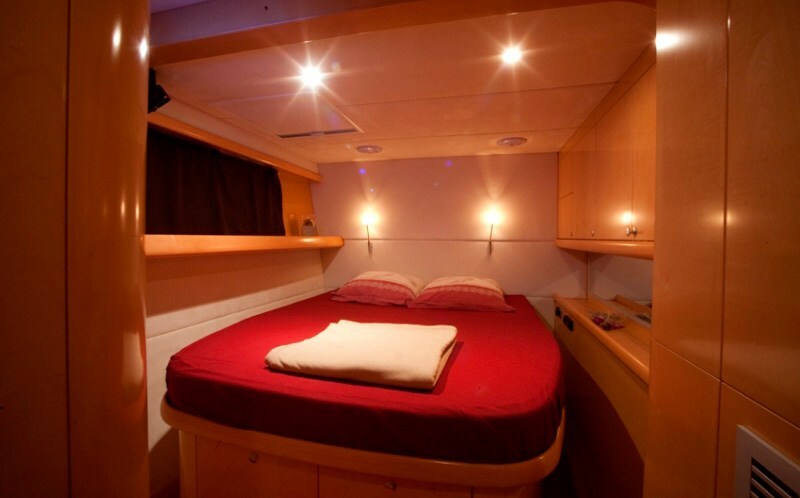 In the hulls there are four large cabins with their own ensuite. 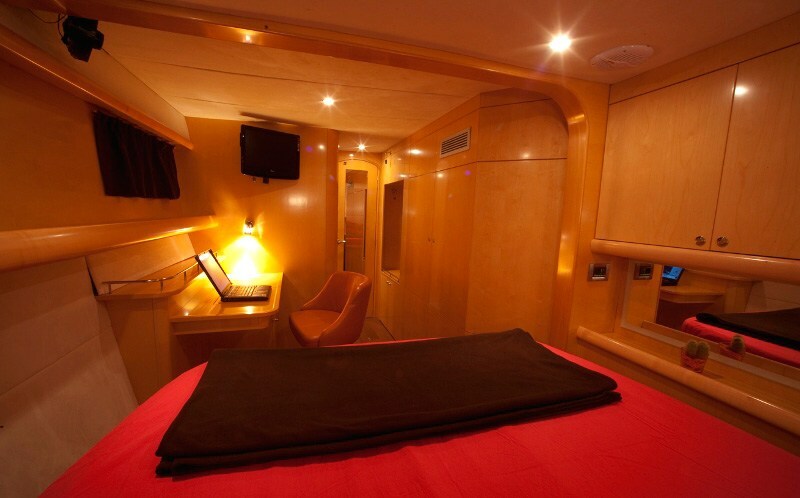 Both of the forward cabins have a typical double berth commonly found on cruising catamarans in Croatia but it is when you step into the aft cabins and actually find island berths that you are spellbound. 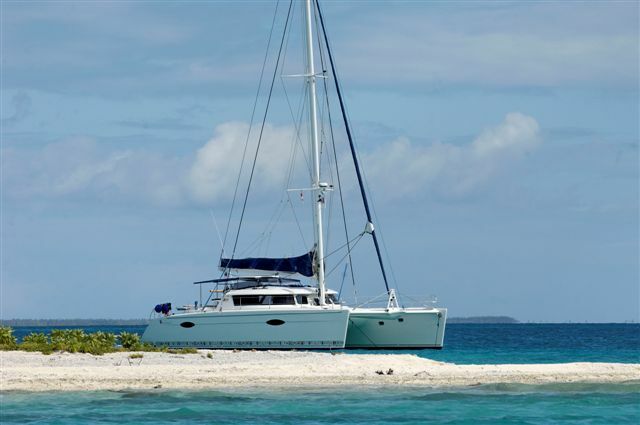 The wider hulls are an obvious advantage in this layout but an aft island berth in a catamaran hull is exceptional. 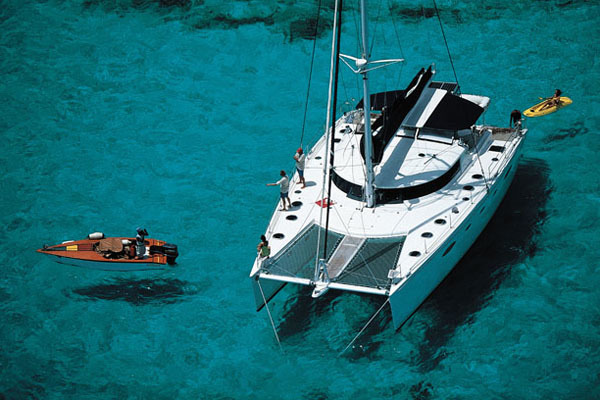 Embark on great catamaran sailing in Croatia!